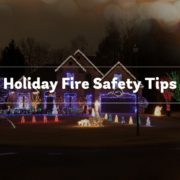 Winter is almost here, and along with the holiday decorations, apple cider, and caroling, comes the risk of house fires. 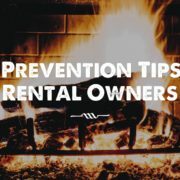 December is the most common month for house fires, so you need to make sure your rental home and your tenants are well prepared. Specialized Property Management, your Fort Worth residential property management, can help reduce your risk of a house fire with these safety tips. Fire Extinguishers: make sure your rental home has at least one fire extinguisher and that your tenant knows how to use it. The kitchen is usually where a house fire will start, so put the fire extinguisher in a place that is easily accessible in the kitchen. Smoke detectors: smoke detectors aren’t just good to have, they are generally required by law. Remind your tenants to never take the batteries out. If the smoke detector does not work, tenants should put in a maintenance request. Check the detectors at every inspection. Easy exits: if a fire is blocking the door your tenant needs to know where to go. Make sure all exits, including windows, open easily in case of a fire. Property managers in Fort Worth can discuss evacuation routes with your tenants during inspections. Discuss fire safety: remind your tenants not to leave candles burning or their kitchen unattended. Discuss the location of fire extinguishers, smoke detectors, and emergency exits. Your property managers in Fort Worth should take fire safety seriously and never put off replacing old fire extinguishers, or checking smoke detectors. That’s why you should call Specialized Property Management. Our property managers have been in the business for almost 30 years and have Fort Worth residential property management and safety down to a science. Fort Worth landlords can rest easy knowing their property is safe and well cared for by the industry-leading property management company. Call Specialized today to hear about all our services. One of the worst things that can happen to your rental home is a house fire. If that fire happens while your tenants are in the home, the results can be beyond devastating. That is why fire prevention is such an important topic. Specialized, your Fort Worth residential property management, is committed to keeping your home and your tenants safe from fires, starting with fire prevention. According to the National Fire Protection Association (NFPA) “Three of every five home fire deaths resulted from fires in homes with no smoke alarms (38%) or no working smoke alarms (21%).” Smoke alarms are so important because they are often the first notice someone has that a fire has started in their home. They can wake a sleeping person so they have time to get out of a house fire before it is too late. Your property managers in Fort Worth know smoke alarms aren’t just important, they are required by law. It is important to check that all smoke alarms have working batteries and function properly before a tenant moves in. The NFPA reports “Dead batteries caused one-quarter (24%) of the smoke alarm failures.” Smoke alarms should also be checked by you or your Fort Worth residential property management at every regular property inspection, no matter the last time they were checked. If a tenant submits a maintenance request regarding their smoke alarm be sure to respond promptly. Specialized Property Management Is Committed to Your Safety! For the safety and comfort of you and your tenants our property managers in Fort Worth stay up to date on all rental property codes and laws. We have combined professional expertise with proven processes to ensure your rental property is a successful investment. To learn more about all our services, call the property managers at Specialized. Property managers in Fort Worth know transitioning a house from your personal home to an investment property can take some adjustment. Tenants don’t often treat a rental home with the same care as a homeowner, which is difficult for many homeowners to observe. The truth of the matter is that your home is no longer your home, it is a business investment. Like all business investments, you need to treat your rental home objectively, not emotionally. Negative tenant interactions can arise when landlords feel too emotionally attached to their properties. When a tenant fails to maintain the property to the landlord’s standards it can cause tensions. The landlord may feel angry or wronged. These emotions are often what lead to negative interactions and tenants deciding to leave when their lease ends. Treating your property like a business venture is something your Fort Worth residential property management company can help with. If you are having trouble separating your feelings from your new business venture, we are here to help. First, you need to see yourself as a business owner instead of a homeowner. Second, understand that normal wear and tear happens to every home and details you may have personally kept up (such as landscaping) may not be important to the next residents. Don’t expect everything to be kept up exactly the same as when you lived there. Finally, if you plan to move back into the home in the future be sure you don’t let that cloud your judgement. Your investment needs to be treated as such until the day you move back in. An experienced and professional Fort Worth residential property management company like Specialized can help you with this difficult transition. The better interactions you or your property managers have with your tenants the more likely those tenants are to take care of your home and stay for an extended period of time. Call us today to learn about all the services we offer.